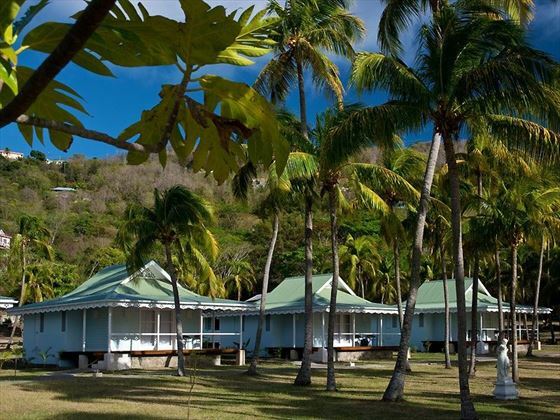 Surrounded by soaring coconut trees and vibrant, tropical flora, Bequia Plantation Hotel is a stunning oasis offering a peaceful ambience and a laidback lifestyle. Nestled on Admiralty Bay, we can’t help but fall in love with the charming plantation style buildings and bright Caribbean colours. 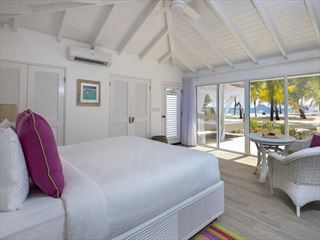 Basking in the sunlight, each room or villa looks out onto picturesque views of exotic gardens or dazzling coastline, with gorgeous marine coloured interiors adding that classic Caribbean touch. The Orchard Suites are our favourites – they’re hidden away amongst the lush fruit trees, and are perfect for those who fancy a secluded stay. 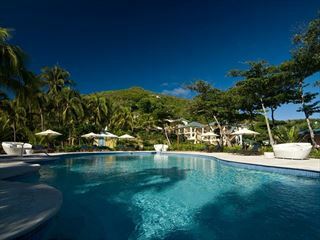 This retreat encapsulates what makes the Caribbean so enticing, with a lovely beachside swimming pool, and deliciously fresh cuisine at the welcoming restaurant. Be sure to try the made-to-order pizzas – they’re the best on the island. 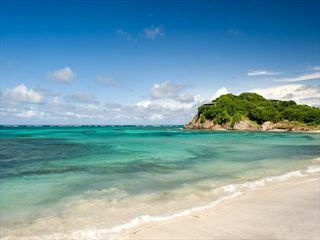 This colourful retreat is found on the southern end of Admiralty Bay, in Saint Vincent and the Grenadines. 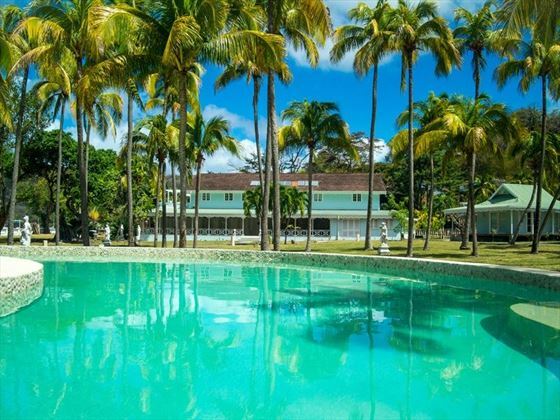 The pretty villas and main house look out across the glistening Caribbean Sea, with a backdrop of luscious palm trees and lined by sugary white sand. Its remote location creates a tranquil and serene ambience. 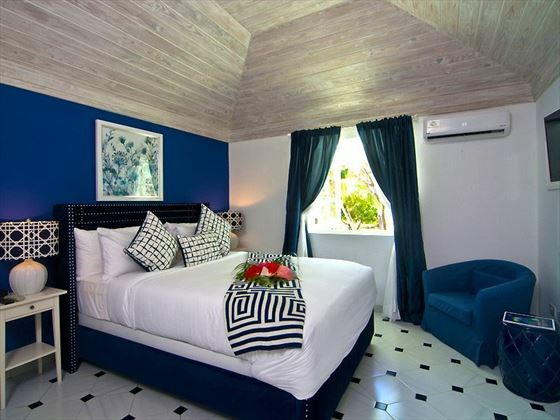 Main House Garden View Room – Charming rooms with gorgeous views of the tropical gardens. Located in the main house. Main House Sea View Room – Welcoming rooms featuring a large four poster bed, sleek interiors, and a balcony that looks out onto the ocean. Located in the main house. 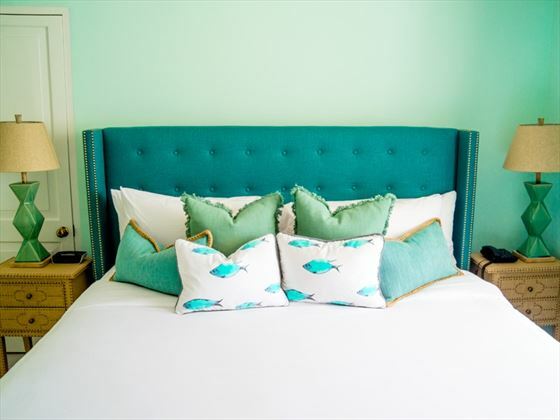 Beach Suite Room – Light and airy rooms that lead straight out onto the beach, boasting a terrace, handcrafted furnishings, and a mini bar. 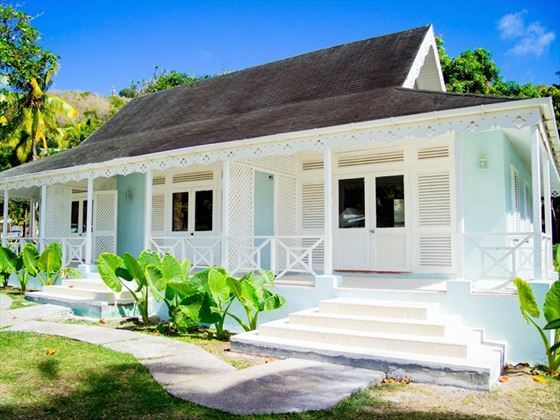 Beach Front Villa – These self-contained accommodations are spacious and gorgeous, featuring a porch area, a kitchen area with fridge and microwave, and a walk in wardrobe. Garden Villa – Beautiful private villas, surrounded by lush palm trees and close by to the beach. These villas feature a fridge and microwave, a state-of-the-art TV, and a spacious bedroom. Orchard Suites – Nestled amidst the verdant fruit trees, these quiet villas feature the same amenities as the Garden Villas, all boasting a tranquil ambience. 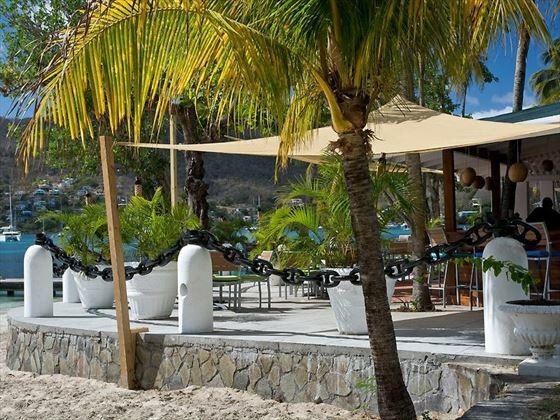 Overlooking the stunning Admiralty Bay, the restaurant here is truly idyllic, offering a beautiful backdrop as you dine for breakfast, lunch and dinner. The fresh local ingredients are full of flavour, and the delicious pizzas made fresh to order in a traditional brick oven is renowned for being the best on the island.